A “Song” vs. a “Piece” — What is the Difference? I became aware of the Music Teachers Helper (MTH) website a couple of years ago but didn’t do much with it at the time. I had to take a musical hiatus for a couple of years due to personal/family needs and I didn’t have a need for an online studio business manager. Happily I have been able to return to teaching piano and I thought I would give Music Teachers Helper another look. I am glad that I did! 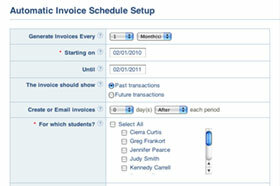 Billing: They have the option of automatically billing your students, or creating individual invoices. You can email your invoices to parents and save yourself the expense of mailing, or the hassle of trying to remember to hand it to parents when they drop-off or pick-up their child from lessons. Tracking: You can keep track of your mileage, make-up lessons for students, fees or credits which are in addition to the regular lesson fee, and invoices you’ve sent or created. Student and Parent Information and Access: One of my favorite features with MTH is the student and parent information and access areas. A teacher can keep track of student birthdays, parent contact information, items loaned to students, and so forth. On top of that parents and students can log in to see a studio calendar, read announcements, keep up to date on activities (such as recitals), and receive reminders about music assignments for the week. How cool is that?! Teacher Website: A really useful feature that comes with every account (free or paid) is a teacher website. Teachers can choose from free or paid website layouts and can customize colors, upload pictures, and add their own personal content. While I have my own business website (you’re on it and reading it now) I love the idea of having my own personal studio website as well. It allows me the opportunity to customize things specific to the students who come to my studio each week. 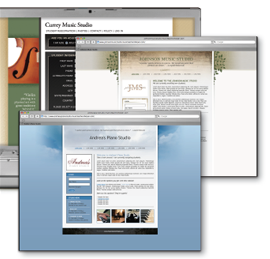 Take a look at what I’ve done with my Music Teachers Helper studio website: http://cindysmith.musicteachershelper.com/ or see what other teachers have done with their websites. There is a bit of a learning curve when setting things up on MTH. It took me a few days to start feeling really comfortable navigating through the options and saving the settings I want for my studio. But, MTH is very helpful in providing tutorial information and tips of usage. Their FAQ is also very useful. And they have customer support who will help you with any questions or difficulties you may encounter. Even if you’re not a super computer saavy person you will be able to get the hang of it. And, I think you’ll find it well worth the effort to learn. I have become an affiliate for the company. 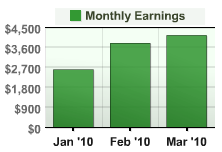 Of course I would love for you to sign up for a MTH membership through my affiliate account. And, as an incentive for you to give it a try I am offering 15% off your first month. Enter Promotion Code 4EE107 at checkout, or go to http://www.musicteachershelper.com/promo/4EE107. Every little bit helps, right? But, if you’d rather not, that’s OK too. You should still check out the MTH website.